The Samford Bulldogs men’s tennis team has won the Community Service Award from the Intercollegiate Tennis Association. The Bulldogs won the award for the Southern Region. The Samford men’s tennis team was extremely active in community service during the 2016–17 academic year. 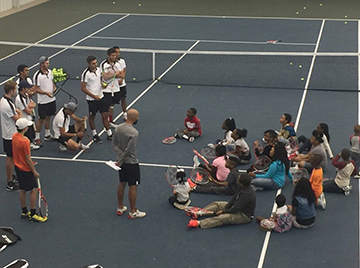 Projects included the inaugural Samford University Men’s Tennis Team Youth Outreach Program. The team raised more than $7,000 to go to inner-city and underprivileged elementary school kids who don’t necessarily get the opportunity to participate in organized sports.